Does your property have extra stumps, trees, or brush that need elimination? 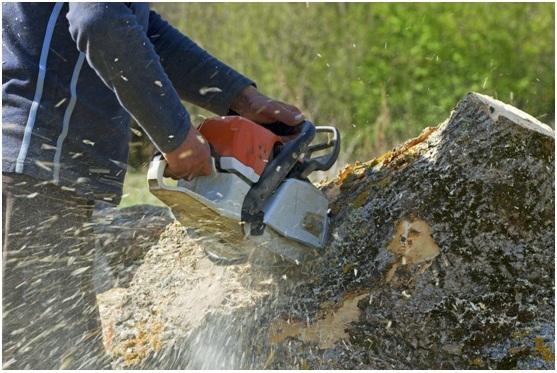 Beware that all the extra stumps and trees could cause problems when trying to develop the land and could even be dangerous to your property and those residing there.Fortunately, you can count on our tree removal service to clear out your property using the right equipment, tools, and of course a team of reliable and knowledgeable professionals. When land needs clearance, numerous people mistakenly believe they can save time and money by accomplishing this task themselves. However, you’ll have a better experience and more success by hiring our Orlando Tree Service. Here’s a list of benefits you can expect from our clearing services. Many people opt to save money by conducting land clearance on their own. However, we advise our clients against this option for various reasons. The major reason is that when you assume this task as an amateur, you’re more likely to sustain serious injuries. Remember, the incomplete elimination of stumps and other remains in the yard could cause severe injuries to your employees and even damage equipment. However, allowing professionals from our Orlando Tree Service Company to manage your clearing decreases the risk because we’ll accomplish the job perfectly and efficiently. After all, our team of experts has specialized machinery, which enables them to handle the task to perfection. It’s also important to note that land clearing entails risky activities, which could pose a threat if you’re not conversant with the relevant safety procedures throughout the project. You don’t need to worry about this when you hire our company because our qualified professionals will undoubtedly use the appropriate equipment and tools to ensure the safe removal of roots and stamps from the ground. Eliminating unwanted trees and shrubs from your property enhances usable space and adds interest while making it safer for you to use. Once clearing takes place, you’ll discover bigger yards give more room for children to play while outdoor enthusiasts get more space for their preferred activities. These activities can range from planting flower gardens to a vegetable garden or even installing an outdoor kitchen. Once you hire us, we’ll remove the unsightly overgrowth and weeds and rodents won’t have any hiding place, making the area safer for everybody. Furthermore, you’ll have the opportunity to beautify the added space with a swimming pool or an appealing storage building. Some types of land clearing, for instance, the removal of roots could damage underground items, for instance, cables and pipes. Therefore, it’s vital you hire a professional company to prevent unnecessary damages. Maintaining a safe distance from underground cables and pipes is one way of reducing damages. Fortunately, our experts have the required skills to perform underground clearing, for instance, excavation without interfering with the water or sewage system in the ground. Our professional company can recognize problem areas and help you prevent disaster in the future by eliminating underbrush that’s likely to catch fire, for instance. Your land’s topography might also cause problems with plumbing and gas lines, so we can offer advice on how to tackle these problems in the future. Whenever the removal of overgrowth and accumulated junk takes place, the land becomes more valuable instantly. Bear in mind that lot clearing is necessary before the construction of any building takes place. This process eliminates trees growing where they shouldn’t and prepares the soil for construction. You’ll also discover that buyers are eager to pay more for a lot that’s ready for construction. Visuals are crucial when it comes to the potential sale of a home or property; lot clearance offers a clean and aesthetically attractive view of the potential property. After all, the clearing opens up a scenic view and this benefit increases greatly with stump grinding or removal. Besides being visually appealing, stump removal levels the ground and facilitates building or recreation. A number of companies such as ours engage in eco-friendly activities, for instance recycling wood. This is likely to increase your degree of social and environmental responsibility. Beware that you may need clearance before engaging in some clearing options. Nevertheless, we can enlighten you on the type of operations that need legal clearance to help you avoid heavy fines. Whether you wish to clear your backyard or simply clear the ground for construction, it’s important you engage the services of a professional company for efficiency. 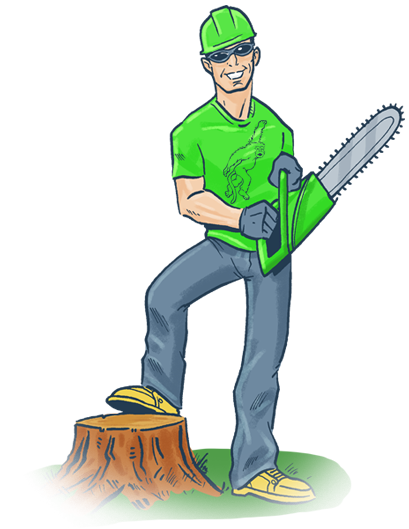 Does your property have extra stumps, trees, or brush that need elimination? Beware that all the extra stumps and trees could cause problems when trying to develop the land and could even be dangerous to your property and those residing there.